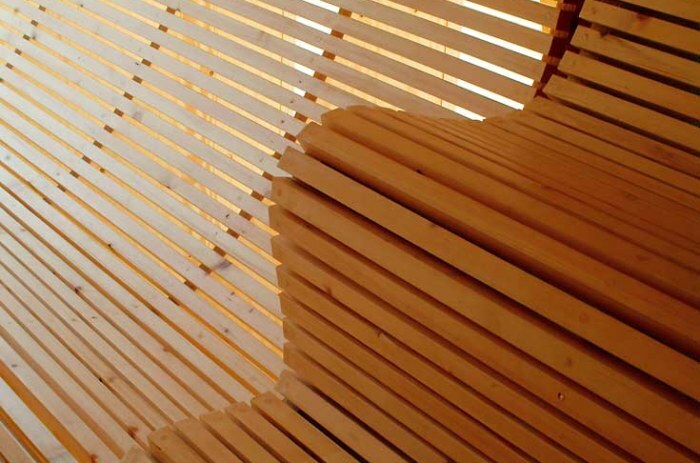 The Koe sauna gives an almost ceremonial importance to the tradition of Finnish sauna and the run between the hot sauna room and the lake. 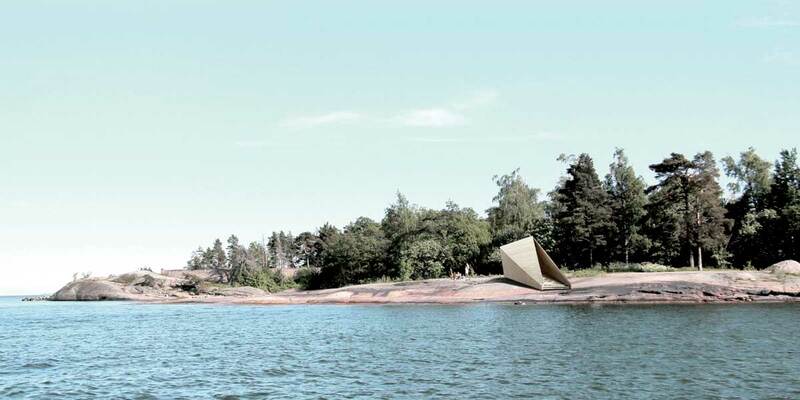 Situated next to the sea on Pihlajasaari, a recreational island off the southern coast of Helsinki. 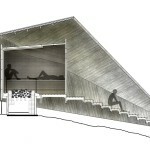 The design is directed toward the open sea view and uses the gently inclined entry stair as a place for resting and taking in views of the sea. 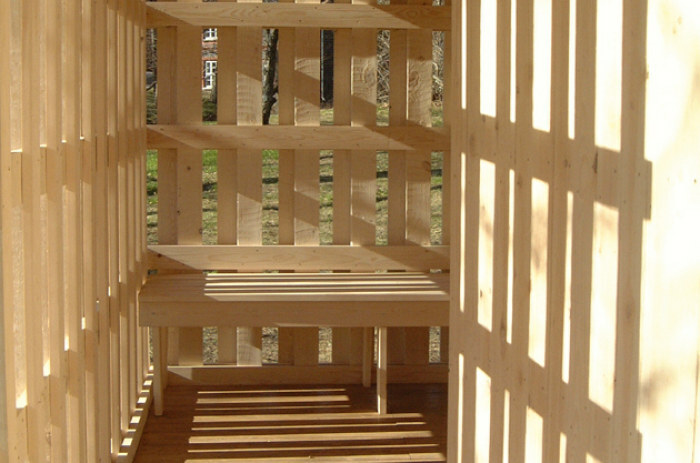 The sauna is divided into two systems of construction. The outer skin is responsible for protection from the rain, snow and wind. 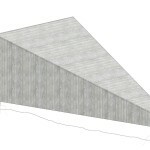 It is constructed of cross-laminated spruce panels. 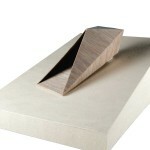 The triangular configuration not only gives the building its character but also stabilizes the structural geometry. The inner core is responsible for thermal insulation and air tightness. It is constructed of glue-laminated spruce panels which are stacked in the manner of logs to allow for moisture movement and settling.